The last remaining finals venue still in active use from the 1948 London Olympics has been saved. 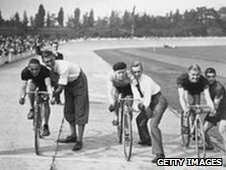 The immediate future of Herne Hill Velodrome seems assured after a new 15-year lease was agreed. Campaigners feared the iconic venue could be forced to close, as it was in desperate need of refurbishment. 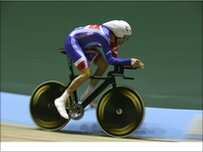 Peter King from British Cycling told BBC London 94.9: "The track's been saved. Now we have to think about redeveloping the whole site." King, who is one of the original Herne Hill trustees as well as the executive director of British Cycling, explained: "For four or five years now we have been operating on one-year or rolling leases, which has meant that we have not been able to do the repair work that is needed. British Cycling will now foot the bill for resurfacing the track, and also developing the infield for other cycling activities like enabling disabled riders to use the venue. However further funds will still need to be raised for other renovations. Hillary Peachy is the leader of the Save the Herne Hill Velodrome campaign. She says now the track has been saved it is the job of all the people involved to renovate the rest of the site, and she is hoping it could become a training venue for teams during the 2012 Games. "We have got so many options, events that we can plan in the run up to the Olympics. "We could possibly get some of the smaller teams competing in the Olympics to come down and do a little bit of endurance training on the track. "This is very much the start of a new beginning. "We have made a huge amount of progress in the last six months since we started the campaign. But this is where the hardwork starts." Hundreds of cyclists regularly use the velodrome. Jason Cattermole, who coaches children at the venue says he can still sense the history of the place: "Especially when you see old black and white photos and you see the same trees in the background, and you see the same grandstand. "Generations of people have come down here. My dad, and his dad as well used to come down here. So many people including me grew up here, and learnt a sport at this place." Sophie Durman is a 14 year old member of the Herne Hill cycling club: "It will be mind blowing to see a new track. A lot more people are probably going to know about it now, because of this news, and more people are going to get into the sport of cycling. " Cyclist Raj Sidhu also uses the velodrome regularly: "It's a great venue. I am chuffed that it is the last remaining 1948 venue, that means a lot to me and the people I cycle with, and I think it's fantastic what is going on here. "There is a huge cycling community in London, and especially in south London, so it's a great resource. On Saturdays in particular you can't move for the number of races that are going on here. Everyone loves it. " You can hear more about the future of Herne Hill Velodrome on The BBC London 94.9 Olympic and Paralympic programme Towards 2012 on April 24, 2011 from 1700 BST.